Mesa, AZ – West Coast Capital Partners, LLC purchased 6,900 SF at Baseline Crossings for $327,000 at 8405 East Baseline Road. Bret Isbell, Trisha A. Talbot, CCIM and Kathleen M. Morgan, CCIM represented the Purchaser. Mesa, AZ – Fred Darbrodi purchased 7,968 SF for $450,000 at 3105 East Main Street. Bret Isbell and Russell Fine represented the Seller. Phoenix, AZ – Avalon Pacific-Santa Ana, L.P. purchased 64,375 SF for $2,895,000 at 4039 East Raymond Street. Bret Isbell represented the Seller. Youngtown, AZ – Youngtown Key, LLC purchased 5 acres at 12207 North 113th Avenue for $125.000 Julie A. Johnson, CCIM and Bret Isbell represented the Seller. Phoenix, AZ – Jerome P. Barnier, Jr. Trust (Mag Yard, LLC) purchased 40 acres of land for $1,845,000 at 4346 E. Magnolia Street. Julie A. Johnson, CCIM and Bret Isbell represented the Purchaser. Scottsdale, AZ – Isle of View Investments purchased Unit D-130 at Villages at Troon North (880 SF) for $116,500 at 10049 East Dynamite Boulevard. Bret Isbell represented the Seller. Tempe, AZ – The Church in Phoenix purchased 5,000 SF for $900,000 at 1619 South Hardy Drive. Kevin Helland and Nicholas A. Pelusio represented the Seller. Chandler, AZ – Arizona Conference Corporate purchased 1.96 Acres South of the Southwest corner of South Hamilton Street and East Frye Road in Chandler for $290,000 Bret Isbell and Russell Fine represented the Seller. Avondale, AZ – Luz E. Jaime purchased .36 Acres East of the Southeast corner of Litchfield Road and Western Avenue in Avondale. Russell Fine represented the Seller. Phoenix, AZ – Mikeno, Inc. purchased 7,750 SF at Indian School Professional Plaza for $485,000 at 9150 West Indian School Road. Bret Isbell and Russell Fine represented the Seller. Mesa, AZ – TWL Family Trust purchased 5,880 SF at 1010 West University Drive for $245,000. Bret Isbell and Russell Fine represented the Seller. Surprise, AZ – SK Dental LLC purchased 7,569 SF at Brookside Bell Professional Park for $605,000 at 15288 West Brookside Lane. Bret Isbell and Russell Fine represented the Seller. Surprise, AZ – Proefrock Farms, LLC purchased 4,000 SF at Fields of Surprise Office Condos for $380,000 at 14991 West Bell Road. Bret Isbell and Russell Fine represented the Seller. Scottsdale, AZ – RCG II, LLC purchased 1,853 SF at Desert Fairways for $324,275 at 8765 East Bell Road, Building B. David Sampson represented the Purchaser. Mesa, AZ – Superstition Investments, LLC purchased 3,697 SF at Apache Trail for $95,000 at 10241 East Apache Trail. Bret Isbell and Russell Fine represented the Seller. Phoenix, AZ – Basil Nona purchased 10,859 SF at Plaza Latina for $625,000 at 5628 North 27th Avenue. Bret Isbell represented the Seller. Phoenix, AZ – BR 24th Street PHX Investments, LLC purchased 1,638 SF at 228 South 24th Street for $100,000. Bret Isbell and Russell Fine represented the Seller. Scottsdale, AZ – Beginners Edge Sports Training, LLC leased 2,966 SF at 7000 East Shea Boulevard. Linda Robbins, CCIM represented the Tenant. Tempe, AZ – Crown Fitness leased 2,820 SF at Landis Crossing located at 1006 East Warner Road. Russell Fine represented the Tenant. Scottsdale, AZ – Daniel J. Grob, D.D.S. leased 1,833 SF at Greenway Medical and Dental, 4910 East Greenway Road. Trisha A. Talbot, CCIM, Kathleen M. Morgan, CCIM, Tracey Galligan and Katie Hines, RDM, CCIM represented the Landlord. Scottsdale, AZ – EZ-NG, LLC leased 901 SF at Camelback Tower, 6900 East Camelback Road. Trisha A. Talbot, CCIM and Kathleen M. Morgan, CCIM represented the Landlord. Chandler, AZ – AccuMac Corporation leased 788 SF at Palm Plaza, 3150 North Arizona Avenue. Kathleen M. Morgan, CCIM and Trisha A. Talbot, CCIM represented the Landlord. Phoenix, AZ – Ideal Rehabilitation leased 2,375 SF at LaCota Office Park, 706 East Bell Road. Trisha A. Talbot, CCIM and Kathleen M. Morgan, CCIM represented the Landlord. 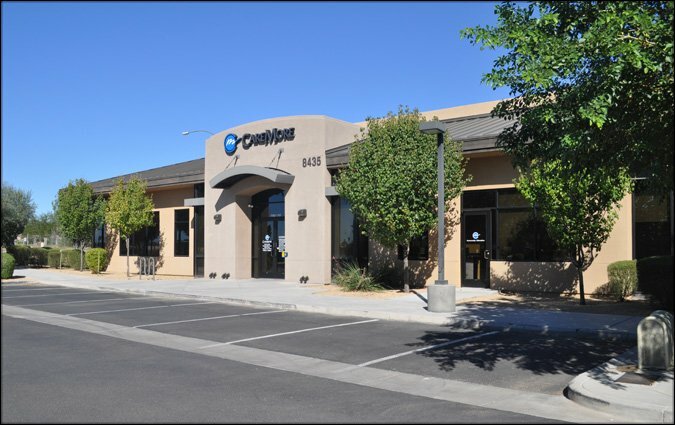 Phoenix, AZ – Daniel & Nadia Ahluwalia leased 2,030 SF at LaCota Office Park, 706 East Bell Road. Kathleen M. Morgan, CCIM and Trisha A. Talbot, CCIM represented the Landlord. Mesa, AZ – TMCx Solutions LLC leased 1,025 SF at Alma School Corporate Center III, 1839 South Alma School Road. Nicholas A. Pelusio and Kathleen M. Morgan, CCIM represented the Landlord. Phoenix, AZ – DMA Claims Management, Inc. leased 4,168 SF at The Corporate Center at Southbank, 3410 East University Drive. Trisha A. Talbot, CCIM and Kathleen M. Morgan, CCIM represented the Tenant. Scottsdale, AZ – Tate Ford-Lincoln-Mercury, Inc. leased 739 SF at Camelback Tower, 6900 East Camelback Road. Trisha A. Talbot, CCIM and Kathleen M. Morgan, CCIM represented the Landlord. Chandler, AZ – Practical Training Solutions leased 788 SF at Palm Plaza, 3130 North Arizona Avenue. Kathleen M. Morgan, CCIM and Trisha A. Talbot represented the Landlord. Chandler, AZ – Oriental Foot Spa leased 1,578 SF at Palm Plaza, 3130 North Arizona Avenue. Kathleen M. Morgan, CCIM and Trisha A. Talbot represented the Landlord. Glendale, AZ – CVDJBA, LLC leased 4,937 SF at the Citadelle, 19420 North 59th Avenue. Trisha A. Talbot, CCIM and Kathleen M. Morgan, CCIM represented the Landlord. Glendale, AZ – WDW Visions, LLC leased 461 SF at Il Palazzo, 5940 West Union Hills Drive. Trisha A. Talbot, CCIM and Kathleen M. Morgan, CCIM represented the Landlord. Scottsdale, AZ – Anstar Sales and Marketing leased 813 SF at Hayden Professional Park, 3200 North Hayden Road. Kathleen M. Morgan, CCIM and Trisha A. Talbot, CCIM represented the Landlord. Gilbert, AZ – Coates Irrigation leased 1,360 SF at 1420 North Greenfield Road. Kathleen M. Morgan, CCIM and Trisha A. Talbot, CCIM represented the Landlord. 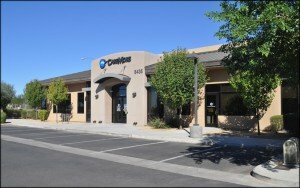 Flagstaff, AZ – Sonora Quest Laboratories LLC leased 1,550 SF at San Francisco Professional Building located at 1030 North San Francisco Street. Nicholas A. Pelusio and Kathleen M. Morgan, CCIM represented the Tenant. Phoenix, AZ – Sonora Quest Laboratories LLC leased 2,101 SF at Desert Ridge located at 20950 North Tatum Boulevard. Nicholas A. Pelusio and Kathleen M. Morgan, CCIM represented the Tenant. Phoenix, AZ – Larry C. Leverett M.D., P.C. leased 3,396 SF at Foothills Health Center located at 4530 East Ray Road. Nicholas A. Pelusio represented the Landlord. Gilbert, AZ – Wellspring Medical Services, LLC leased 5,880 SF at Horne Plaza located at 81 West Guadalupe Road. Trisha A. Talbot, CCIM and Kathleen M. Morgan, CCIM represented the Landlord. Phoenix, AZ – The Scottsdale Rejuvenation Center, LLC leased 515 SF at Tatum Professional Plaza located at 14640 North Tatum Boulevard. Kathleen M. Morgan, CCIM, Trisha A. Talbot, CCIM and Tracey Galligan represented the Landlord. Scottsdale, AZ – AZ Eye Health, PLLC, leased 2,610 SF at Princess Medical located at 8575 East Princess Drive. Jennifer Pliska and Katie Hines, RDH, CCIM represented the Tenant. Mesa, AZ – Cigna Healthcare of Arizona leased 6,300 SF at The Shoppes at Legacy House located at 5609-5757 East McKellips Road. Trisha A. Talbot, CCIM and Kathleen M. Morgan, CCIM represented the Landlord. Glendale, AZ – North Valley Ear, Nose & Throat Associates, P.C. leased 2,172 SF at Arrowhead Orchards located at 6320 West Union Hills Drive. Julie A. Johnson, CCIM, Bret Isbell and Russell Fine represented the Landlord. Murray Gares of Ensemble Real Estate Solutions represented the Tenant. Phoenix, AZ – The Obstetrix Medical Group of Phoenix, P.C. leased 3,499 SF at Estrella Health Center located at 9250 West Thomas Road. Julie A. Johnson, CCIM, Bret Isbell and Russell Fine represented the Landlord. Murray Gares of Ensemble Real Estate Solutions represented the Tenant. Phoenix, AZ – Toby R. Meltzer, M.D., P.C. leased 6,622 SF at 7025 North Scottsdale Road. Julie A. Johnson, CCIM represented the Tenant. Cottonwood, AZ – Sonoran Quest Laboratories, LLC. leased 1,616 SF at Mountain Terrace Professional located at 203 South Candy Lane. Nicholas A. Pelusio and Kathleen M. Morgan, CCIM represented the Tenant. Phoenix, AZ – Physician Group of Arizona DBA Clinica Bella Vista leased 1,885 SF at 515 West Buckeye Road. Nicholas A. Pelusio and Keven Helland represented the Tenant. Now celebrating 40 years in business, GPE Commercial Advisors and GPE Management Services, one of the oldest privately owned CRE firms in AZ, are the premier providers of award-winning sales, leasing, property management, consulting and corporate services for the commercial real estate industry. Specializations include office, retail, land, industrial, healthcare and dental properties. GPE Companies remains committed to excellence and serving clients’ and team members’ best interests while achieving profitable transactions. Core values include integrity, respect, innovation, teamwork and quality of life. To learn how GPE Companies can assist you in a profitable real estate transaction, contact us at 480-994-8155. Celebrating over 40 years in business, GPE Commercial Advisors and GPE Management Services are among the oldest privately owned commercial real estate firms in Arizona. GPE Commercial Advisors is an award-winning team of experienced agents and staff who handle sales and leasing for professional office, medical office, retail, industrial and land properties. GPE Management Services provides licensed professionals, accountants, engineers and staff who keep buildings running smoothly. Collectively, GPE Companies manages and represents over 9 million square feet of space, with clients ranging from individuals in search of space to publicly traded corporations. GPE has exceeded $2.25 billion in successful transactions. Currently members of many industry organizations including BOMA, NAIOP and Valley Partnership, GPE has been named a Top Leasing Firm by CoStar Power Broker Awards, recognized as one of the top firms by Ranking Arizona since 2008, and has been named one of the Valley's "Best Places to Work" according to Phoenix Business Journal.